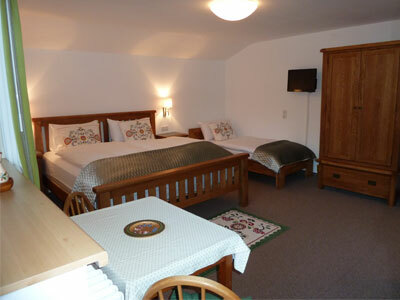 Relax in peaceful surroundings at our friendly Bed & Breakfast, in the Lakes and mountains of Austria. 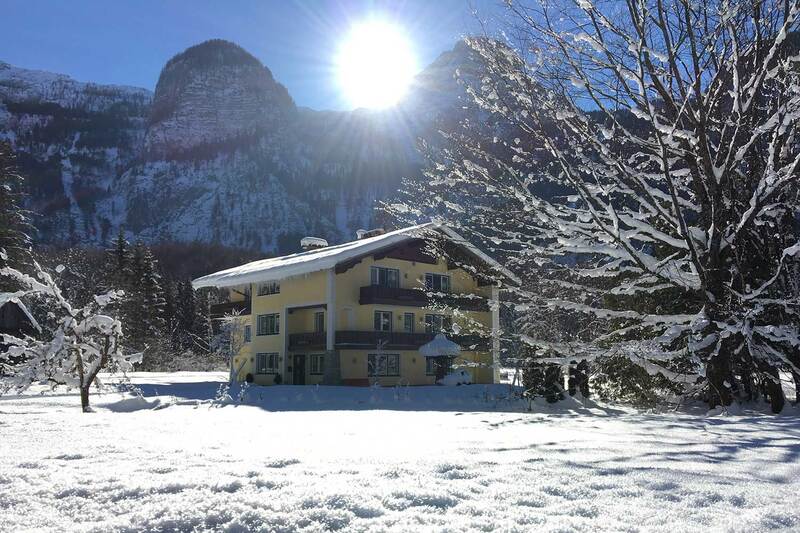 Located in a ​natural setting, next to river and forest walks, and yet just 5km from the world-famous village of Hallstatt. 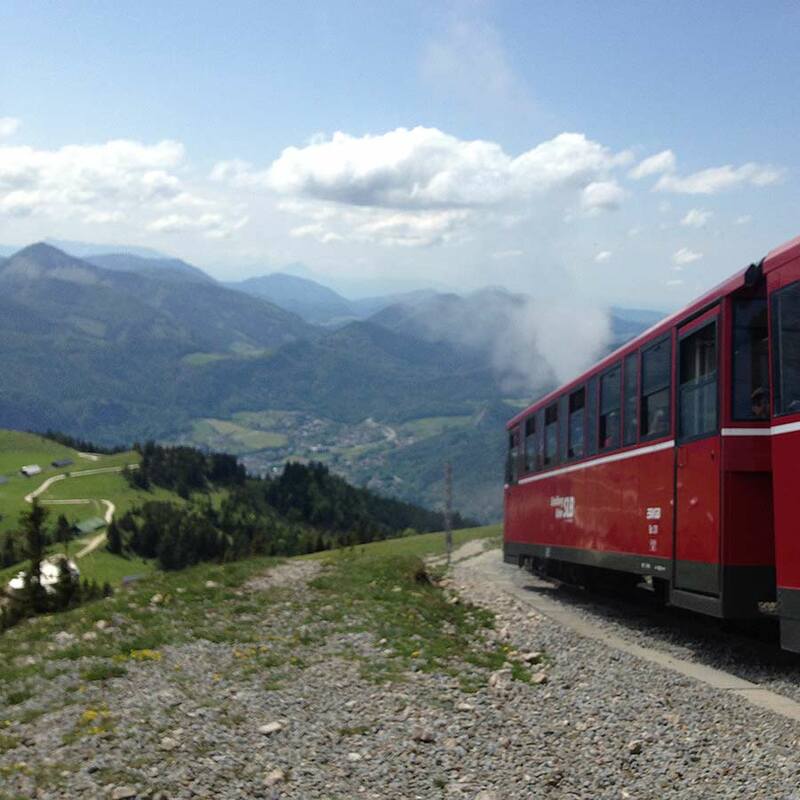 We are also ​next to the Dachstein mountain range, for cable car rides to the Krippenstein Mountain, with its Ice Caves and Five Fingers viewing platform. 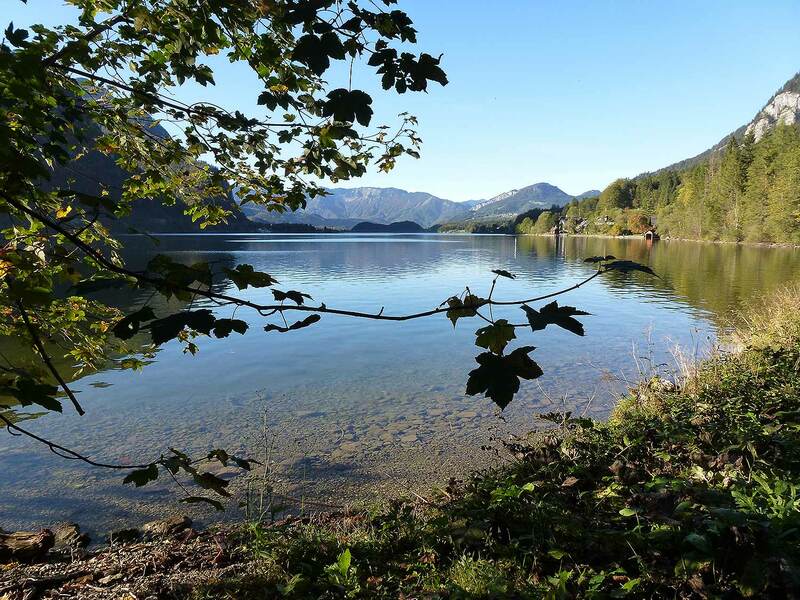 We'd love to welcome you to the heart of the Austrian lake district! You can easily explore this beautiful region on foot, by bike, by car and train. 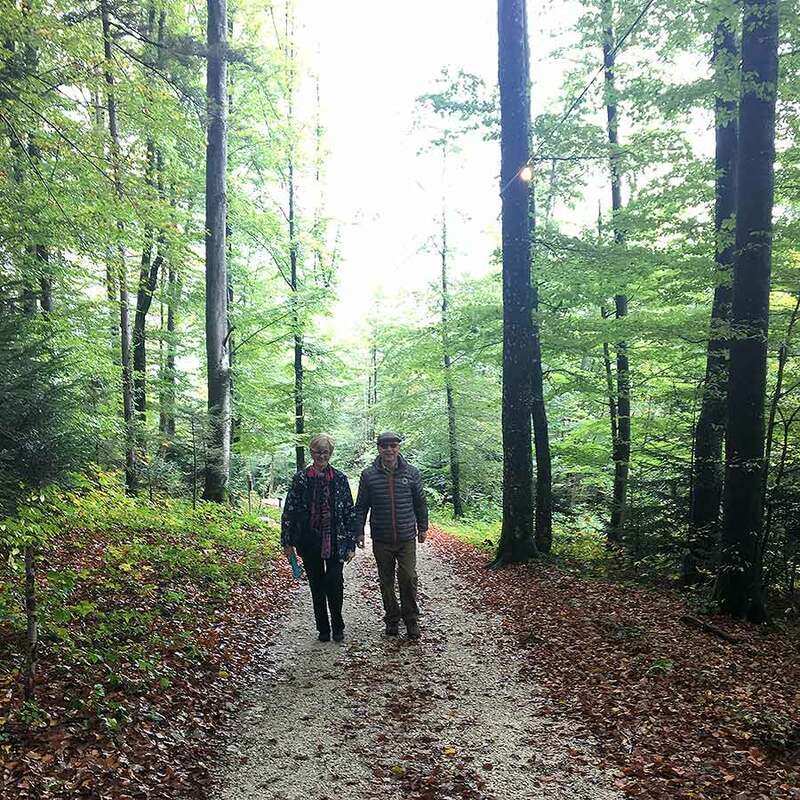 Each season has something to offer: breathe in the fresh air whilst hiking or biking during the spring, summer and autumn; visit the local Christmas markets; and enjoy winter sports and snow shoeing. Come away and escape ... to the peace and quiet of a small rural village, where you can relax and unwind! We stayed for 10 nights with Liz and Paul. We loved every minute and we didn’t want to leave. Thank you for such a great stay! The river is simply stunning with the most beautiful walks and benches along the route to simply sit and taking in the surrounds or read a book. Liz and Paul were the nicest people to have gotten to know; they were so friendly, helpful with giving tips on places to go and see, they really cared about you and helped in every way that they could. We all loved having the river close by and the view of the mountains is spectacular. 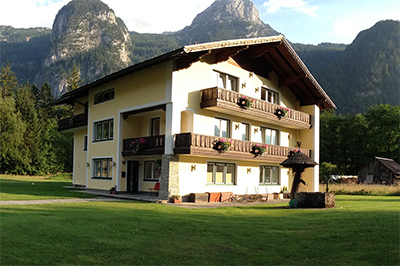 Landhaus Lilly the perfect staging post for either a relaxing break or an energetic adventure. Wholeheartedly recommended. B&B owners Liz and Paul looked after us even before we arrived. Liz contacted us to ensure we knew our way to their exceptionally quaint and clean home in the mountains. 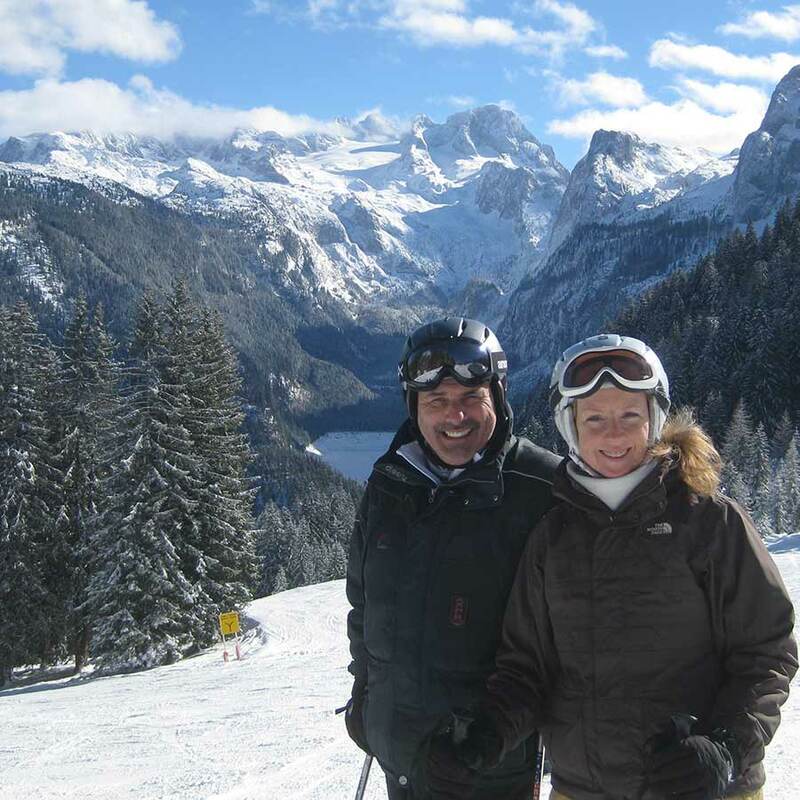 You would certainly love it here and we will be highly recommending Liz and Paul to all our friends and family! 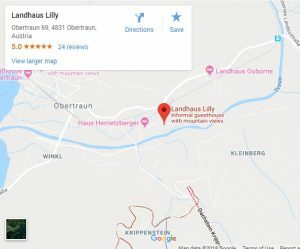 Landhaus Lily is only 5 km from Hallstatt. It’s very central for touring this area around different lakes. We even did a day in Salzburg from here. Awesome Austrian motorbike adventure, based at this heavenly venue!. Modern but warm and friendly with hosts Paul and Liz going out of their way to make sure your stay is “simply the best”! Thoroughly recommended. I especially liked the quiet and being away from the main tourist areas. I don’t think many Brits consider Austria as a serious motorcycling destination, which is surprising as it has some of the best roads and scenery in the World. This is what a B&B looks like when hosts love what they do. 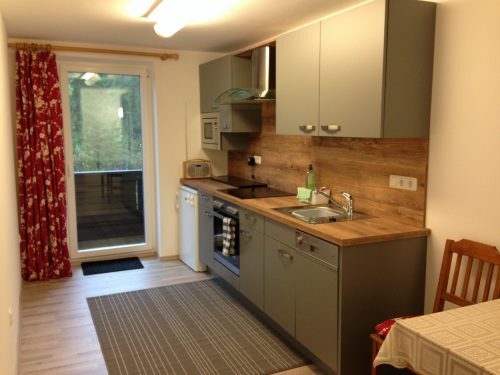 Within minutes of their home you can ride the cable car to reach mountain top lookouts, be hiking in the mountains or walking along the river to the nearby lake for swimming or boating. We couldn’t have asked for a better location, and we hope to stay there again! Complimentary tea and coffee is available 24/7, all washed down with tasty cake! 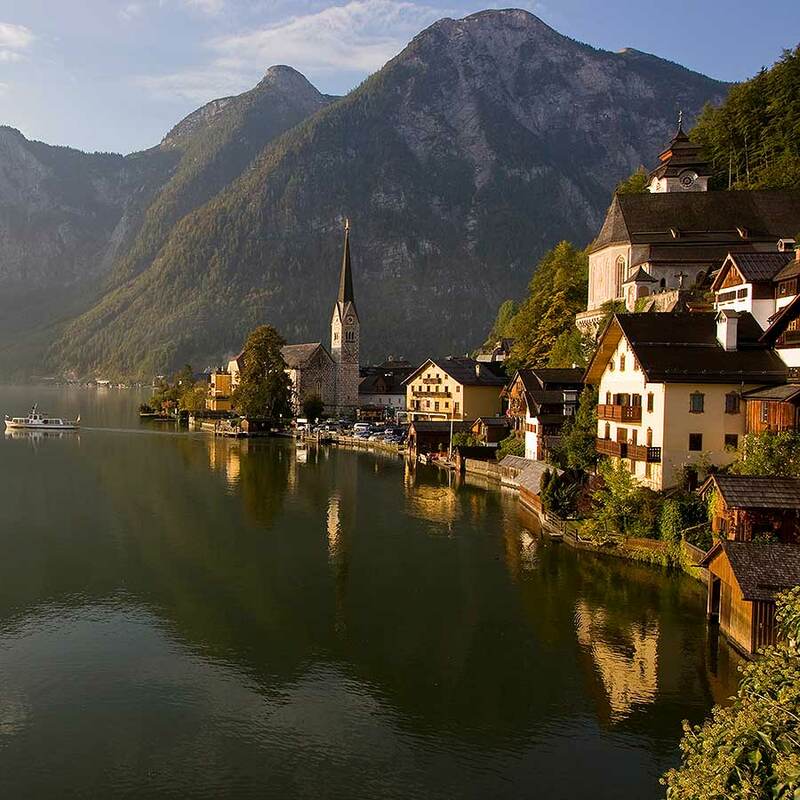 I would stay in Obertraun again in preference to Hallstatt. The village is small and quiet, and the location of Landhaus Lilly makes Hallstatt and the cable-car easy to access. Paul & Liz are the friendliest and most helpful BnB operators I have come across in a long time. Thoroughly recommend! Landhaus Lilly is nicely situated close to Dachstein attractions & walking distance from Hallstatt. I was mesmerized by the Traun river flowing just a few meters behind the house.